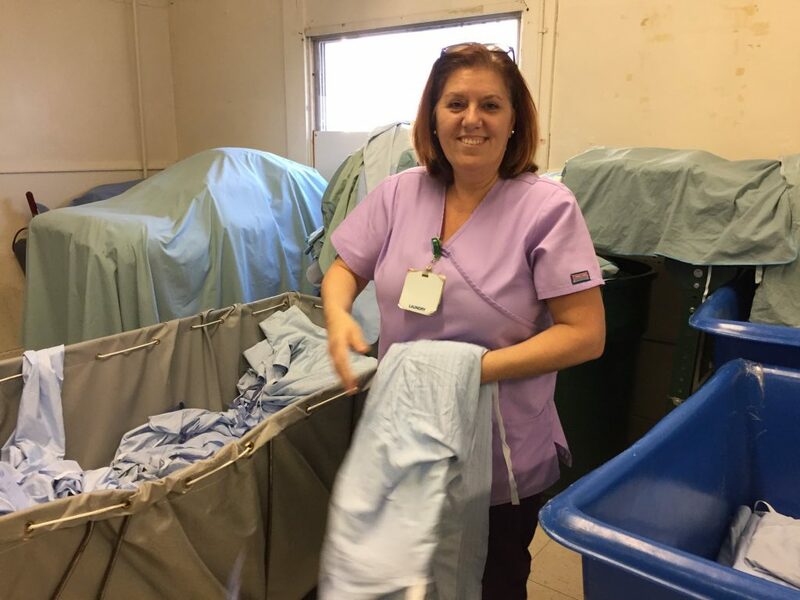 The more than 100 workers clean, sort, fold the hospitals linens ensuring the hospital continues running smoothly and cleanly. 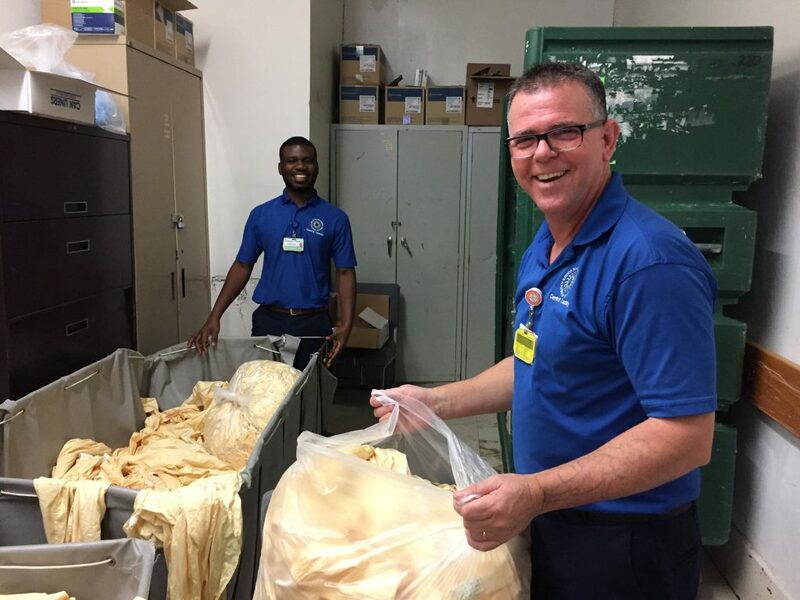 They Teamsters work in the hospital’s central facility and deliver to more than 50 offsite locations. 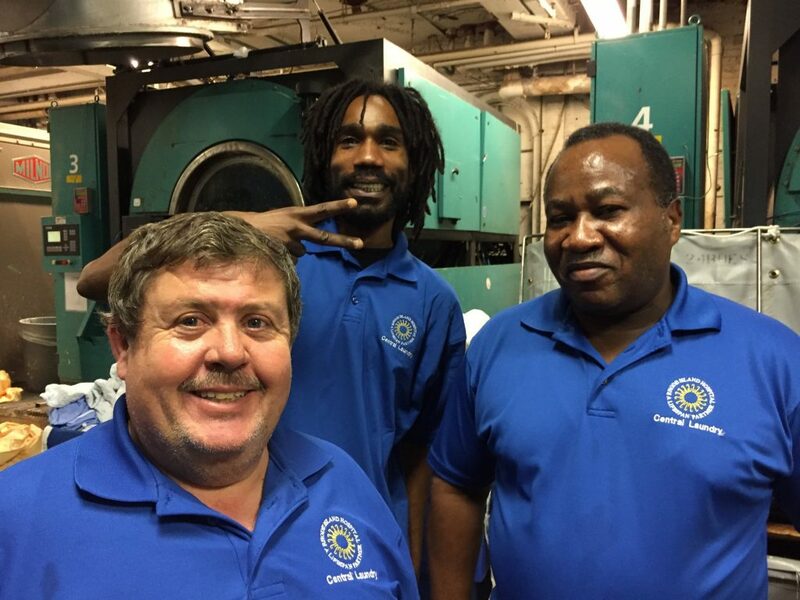 Imagine what would happen without these Teamsters? 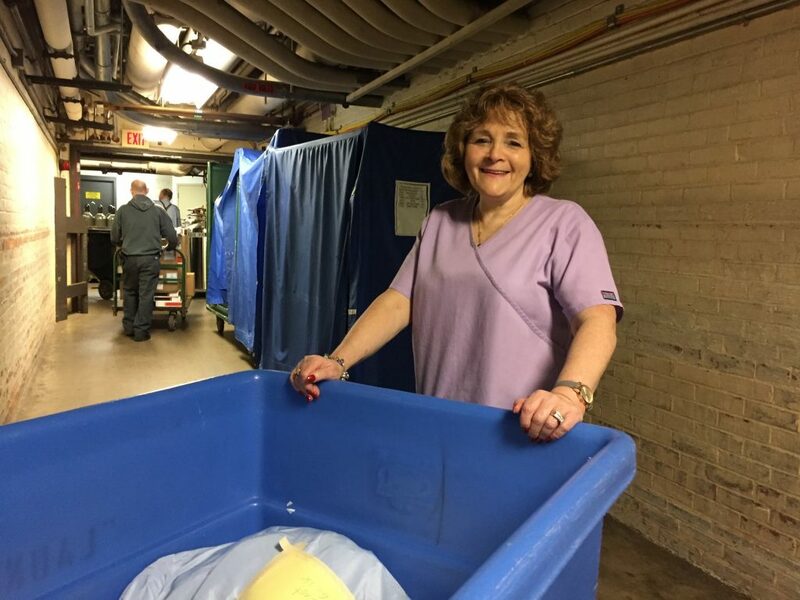 Located just south of downtown Providence, Rhode Island Hospital’s main campus occupies more than five blocks. 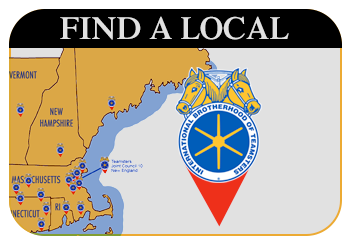 Additionally, the Teamsters represent workers at the hospital’s numerous satellite buildings throughout the state of Rhode Island and southeastern Massachusetts. 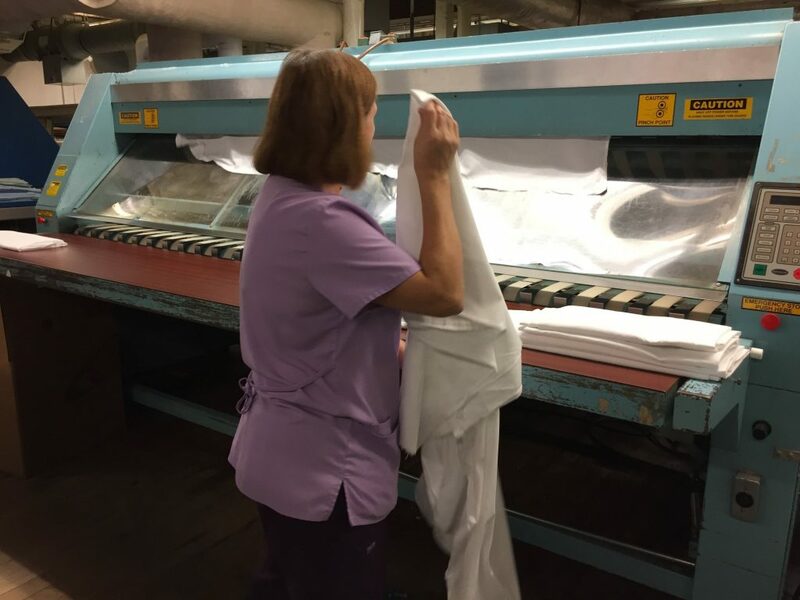 More than 2,500 Local 251 Teamsters work wall-to-wall in the facilities. 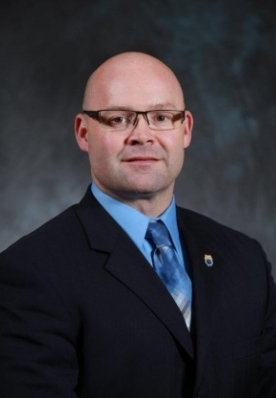 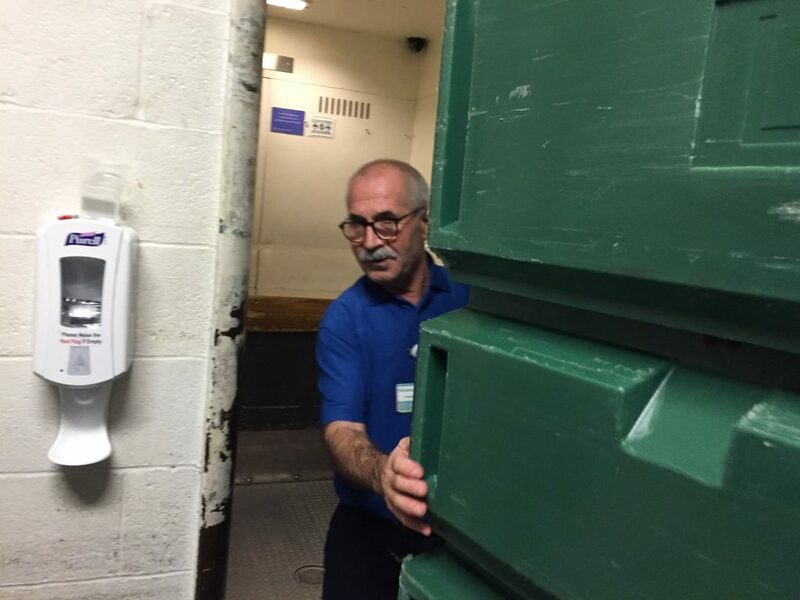 Rhode Island Hospital Teamsters have entered the beginning stages of negotiations. 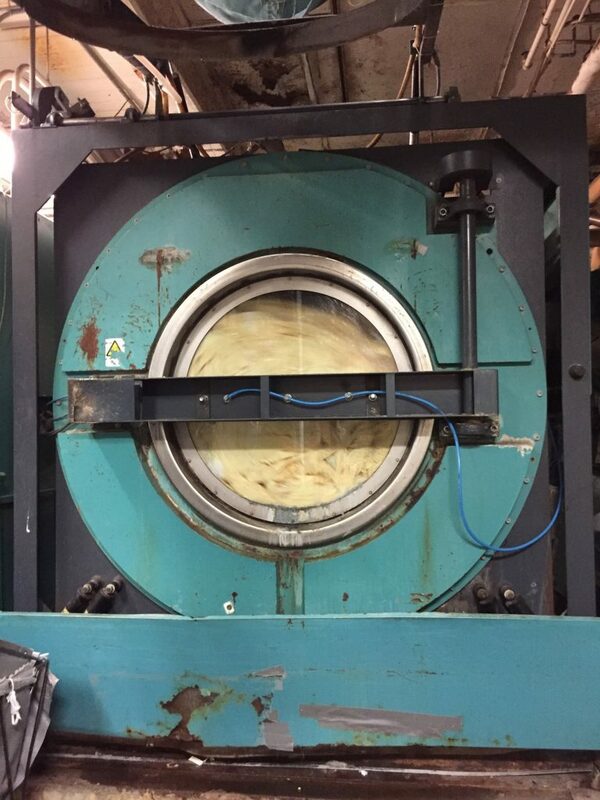 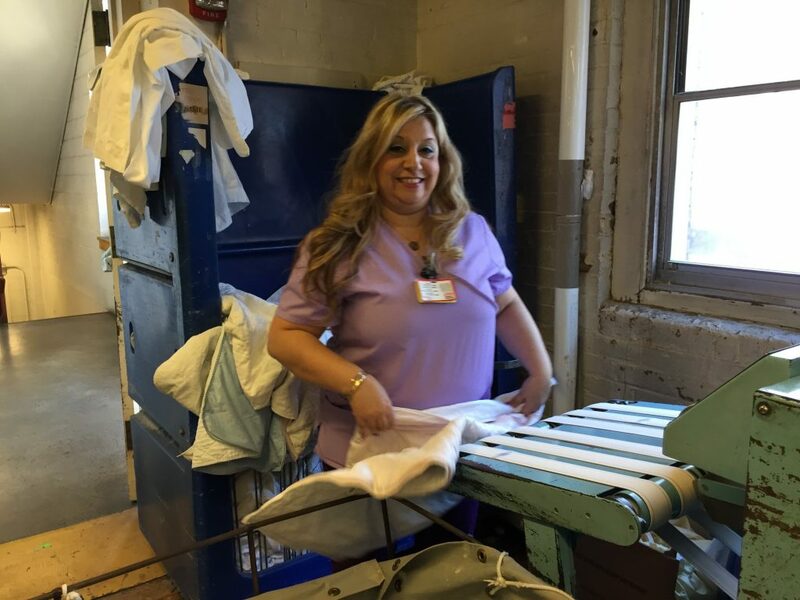 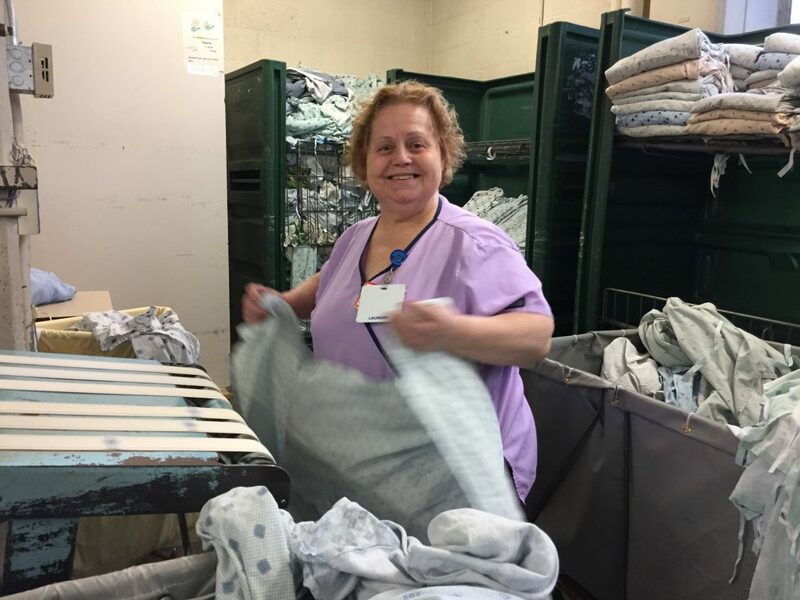 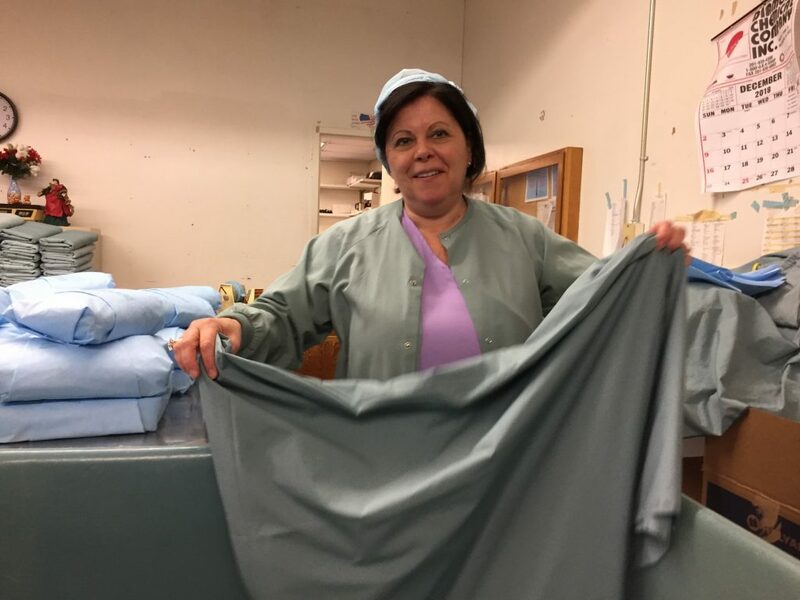 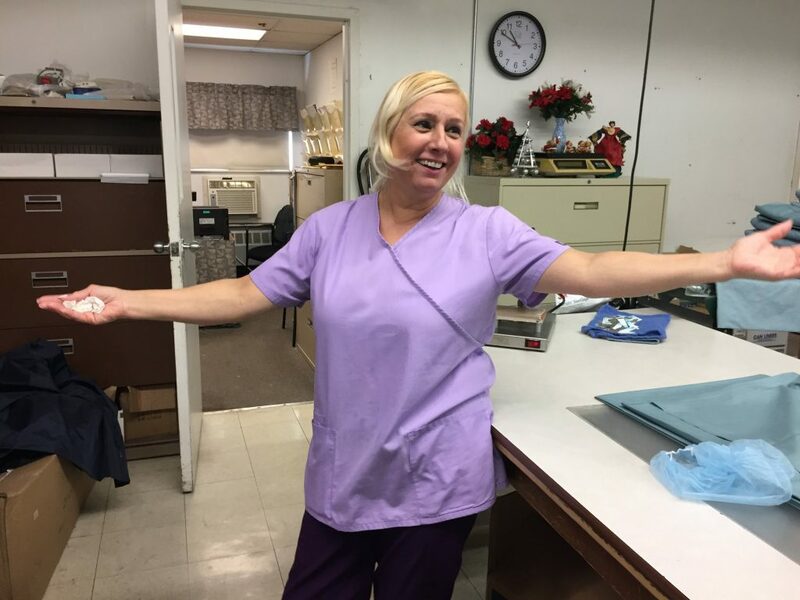 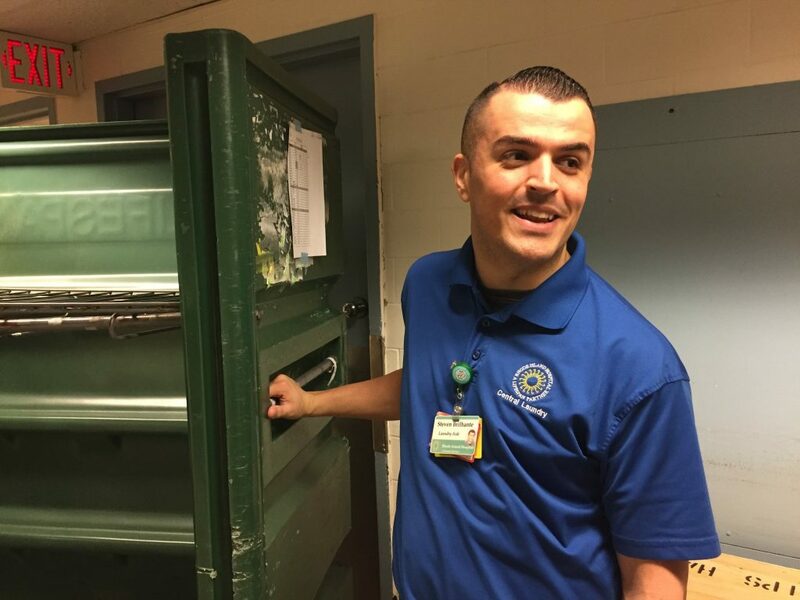 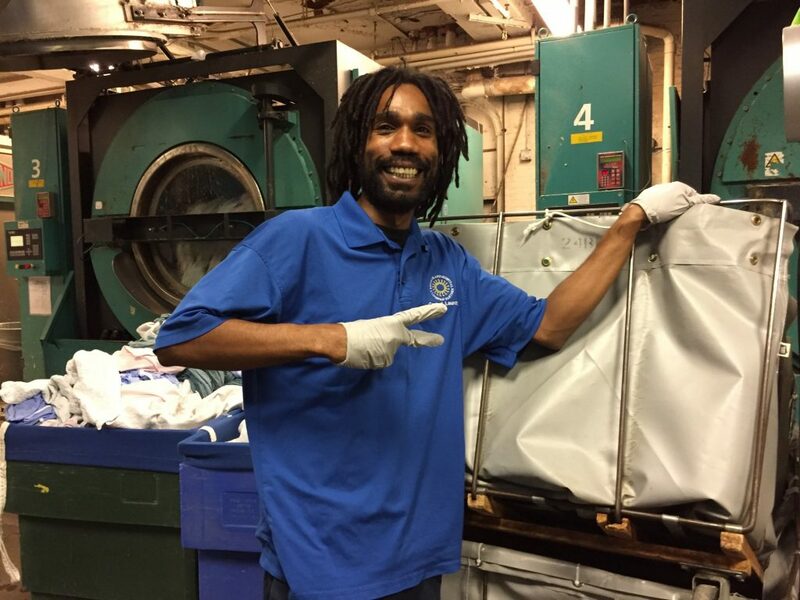 This photo feature on Rhode Island Hospital’s laundry services workers is the second in a series profiling Rhode Island Hospital Teamsters.